All the talk this year has been surrounding players who will become free agents this summer and rightly there's been a lot of excitement for teams to pick up a new star player for absolutely nothing at the end of the season. But pushing your Aaron Ramseys and Adrien Rabiots to one side, there is also a pool of talent which could be put up for sale this summer as club's risk losing their best players for free in 2020. Here are 11 players from Europe's top five leagues who can be snapped up for less than their normal asking price this summer. It should be no surprise to see Chelsea's Eden Hazard on this list, as the news of the club's transfer ban has only increased speculation that he will be allowed to leave the club in a budget deal this summer. 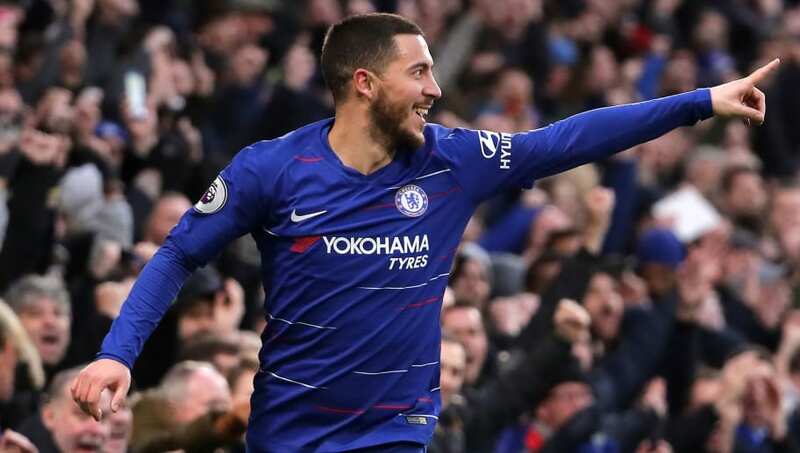 Long-term admirers Real Madrid are still sniffing around the Belgian's signature and although other sides have been linked, Zinedine Zidane's return to the Santiago Bernabéu appears to have all but confirmed where Hazard will be playing his club football next season. It's not just Chelsea's talisman who will be in this year's summer sale, but two-thirds of the Hazard brothers could actually be on the move as Thorgan - the middle of the three - is also out of contract in 2020. He's spent the last five years in the west of Germany, making almost 200 appearances for Borussia Mönchengladbach during that time. Hazard's currently enjoying his most fruitful season at Borussia-Park, reaching double figures in both goals and assists. Potential suitors: Borussia Dortmund, Bayern Munich, Liverpool & Chelsea. He might have rejected a move to Chelsea during the January transfer window, but Sevilla's Pablo Sarabia will struggle to turn his nose up at offers which are bound to come his way this summer. The 26-year-old midfielder has had a bit of a sudden rise to stardom in Spain, as the former Real Madrid Castilla player was brought in by Sevilla for just £900k three years ago. This season, Sarabia has scored 20 goals for Los Nervionenses across all competitions, while also assisting his teammates 13 times in Andalusia. Potential suitors: Manchester United, Chelsea & Real Madrid. It seems like a lifetime ago that Stephan El Shaarawy was breaking through as the next big wonderkid at AC Milan, alongside the likes of Alexandre Pato, Kaká and Robinho. But after a few years out of the limelight, El Shaarawy is currently enjoying his best goalscoring season in Serie A since the 2012/13 campaign. The Italy international has already claimed that he wants to extend his contract with AS Roma, but the Giallorossi are holding off on talks for the time being. Potential suitors: Fiorentina, Hebei China Fortune & Guangzhou Evergrande. Former Liverpool target Nabil Fekir has been able to step out of Alexandre Lacazette's shadow at Lyon over the last two years and is now among the most in-demand midfielders in European football. His stock in the transfer market has risen tremendously since Arsenal's Lacazette left the Groupama Stadium in 2017, and Fekir's gone on to cement his place in France's squad, lift the World Cup with Les Bleus, as well as become Lyon's full-time captain. But the 26-year-old hasn't signed a contract extension since 2015 and looks increasingly likely to leave at the end of this season in a budget deal, as opposed to running down his contract to walk away as a free agent. Potential suitors: Liverpool, Chelsea, Bayern Munich & Real Madrid. Tottenham lead the way in many ways in regards to how a football club should be run, but Mauricio Pochettino's have picked up a bad habit from their north London rivals by allowing Christian Eriksen's contract run down. While their dealings with Harry Kane, Dele Alli and Son Heung-min's contracts show that what is happening with Eriksen is just an isolated incident, Tottenham are now having to accept the fact that the Dane could leave on the cheap at the end of the season. That was until we saw a ​report saying Spurs were holding out for £200m. Dream on, lads. Potential suitors: Real Madrid, Barcelona & Paris Saint-Germain. Over a decade after Mario Gómez broke through as the Bundesliga's most exciting attacking talent, going on to lead the line for Die Mannschaft for a generation of fans, RB Leipzig's Timo Werner looks set to take over the mantle as Joachim Löw's main man. The 23-year-old has taken some time to adapt to life through the middle - he started out on the wings at Stuttgart - but he's now become one of the most established centre forwards on the continent. Werner is far from a clinical striker like the likes of Robert Lewandowski or Luis Suárez, but the Germany international's devastating speed make him one of the most feared players in Europe and an ideal signing for any counter-attacking side. Potential suitors: Liverpool, Bayern Munich & Real Madrid. It's all a bit chaotic at Real Madrid following their third managerial appointment over the last 12 months, where Zinedine Zidane stepped in for the sacked Santiago Solari, who in turn was a stop gap after Julen Lopetegui's short reign last year. But as Los Blancos start to compose themselves once again, questions will now need to be asked over some of their first team players and most notably Nacho Fernández. While many expect that Éder Militão's arrival this summer will bring Jesús Vallejo's time with the club to an end, Nacho's current contract situation could actually put him at the most risk of the chop at the Santiago Bernabéu. Potential suitors: Arsenal & AS Roma. This isn't the first time that Juventus wonderkid Moise Kean has been linked with a move away from Turin, although the days of tractors being used in negotiations do at least appear to be behind us after that fiasco in 2017. Kean, the first player born after the millennium to play a competitive fixture in Europe's top five leagues, has been on Juve's books since 2011 but has only ever signed one professional contract with the club. That deal runs out next year, and the 19-year-old striker looks set to leave having only ever made 10 appearances for Juventus' first team. Potential suitors: AS Monaco, Leeds United & Olympique de Marseille. Any youngster who can somewhat do a step over these days are hyped beyond belief, but for OGC Nice's skilful Allan Saint-Maximin, he's been living with pressure and expectations for the majority of his professional career. The 22-year-old struggled to establish himself at AS Monaco between 2015 and 2017, where he was having to fight for minutes alongside the likes of Thomas Lemar, Bernardo Silva and Kylian Mbappé. But he's gone on to make 65 appearances across all competitions since moving to the Allianz Riviera and is already being scouted by some of Europe's biggest clubs. Potential suitors: AC Milan, Borussia Dortmund, West Ham. All the talk right now might be surrounding Chelsea star Callum Hudson-Odoi in regards to English youngsters who are out of contract next year, but west London rival Ryan Sessegnon is also just one season away from becoming a free agent. The 18-year-old has seen his progress stunted somewhat following Fulham's promotion to the Premier League, but he remains one of the most talked about English players and has been linked with a handful of Premier League giants ever since his debut in August 2016. Fulham do have the option to extend Sessegnon's contract by two more years, but they could be forced to cash in regardless this summer if they've relegated back to the Championship next season. Potential suitors: Tottenham, Manchester United & Arsenal.